A roof inspection is one of the essential aspects that you should consider before moving to a new house. In this particular case, thorough roof inspection helps you to detect leakages or any problems that may be costly in the long run. If you are searching for any roof inspection services, look no further than Beneficial Roofing Company. The organization is located in Murfreesboro, TN. With our vast experience in the roofing industry and the help of our competent team of experts, our company is committed to providing the best roofing services. As one of our expansion strategies, Beneficial Roofing Company is customer-oriented, we work closely with our greater community to ensure our roofing services are of high quality and tailored towards attaining customer satisfaction. The organization has a team of professionals who have specialized in both residential and commercial roof inspections. On the same note, we are extremely careful with the services we offer to our clients to minimize costs and guarantee quality. At Beneficial roofing, we provide prompt responses to our residential and commercial customers to ensure that their needs and expectations are met. As a company, we offer both roof installation, roof repair as well as roof inspection services. Professional roofing inspection is a significant investment that will ensure your home has the protection it needs for your and your entire family. Therefore, roof inspection is vital because of various reasons. Firstly, it enhances your safety. 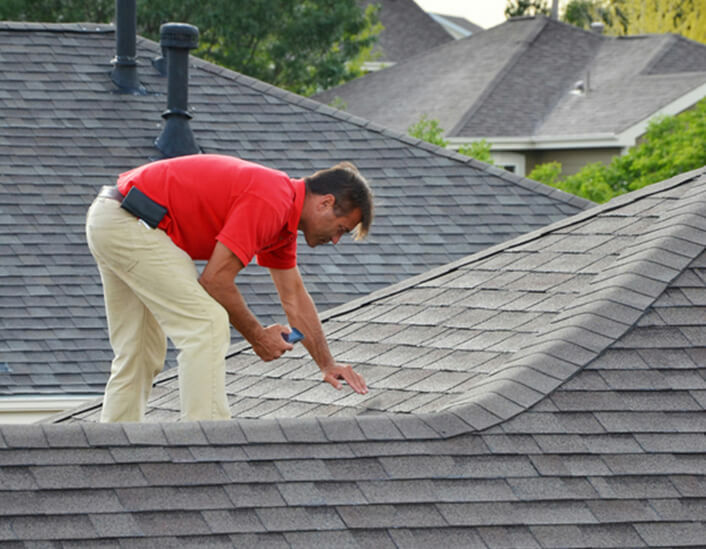 As an average homeowner, it is likely that you may not have the right tools and equipment necessary to conduct a thorough roof inspection to ensure your safety. Through that, the professional inspector will also be able to identify potential problems, get the repair done early and also minimize costly and unnecessary expenses in the future. A roof inspection is vital in adding value to your residential or commercial house. Ideally, the objective of any potential buyer is to purchase a house that doesn’t need huge maintenance costs and attention. Thus, roof inspection helps you to do necessary repairs before selling your house thus increasing its market value. Roof inspection services help you to detect areas that should be renovated hence ensuring that the roof is in a stable condition. More importantly, roof inspection is critical in lowering your energy bills that may arise from running drafts hence saving you from hundreds of dollars annually. Our services are cost-effective and designed to address individual needs. Our solid reputation is one of the reasons as to why we have been rated among the leading roofing companies in Murfreesboro, TN. We have close links with the best material sellers in the industry to guarantee our commercial and residential customers the best brands roofs that will meet your specifications. for any roofing services, don’t hesitate to contact us and we will be glad to help and serve you with utmost satisfaction.